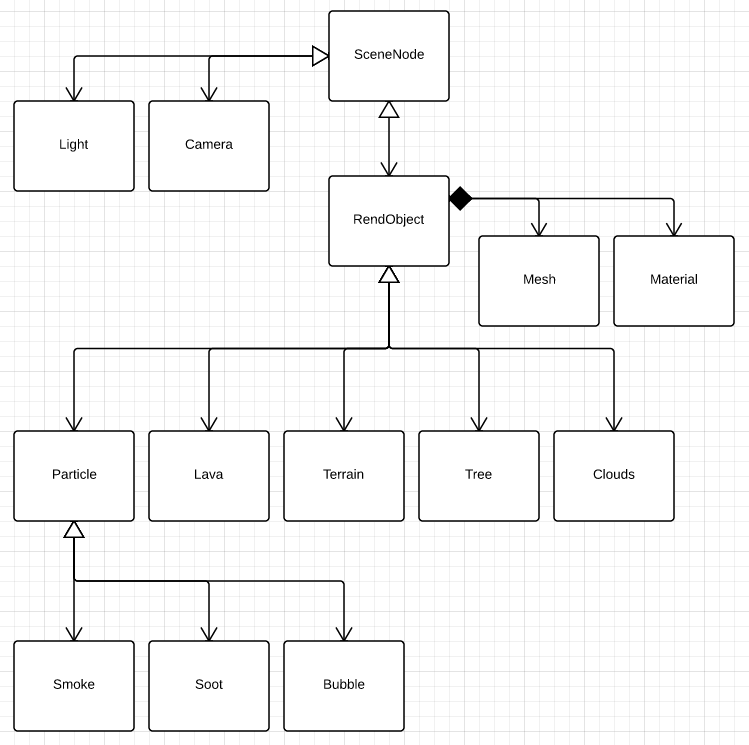 To plan for the scene I’ll need to come up with a list of objects that will be needed and then put them into a class diagram. I think from here I can start coding. Which I’ll talk about in the next post.